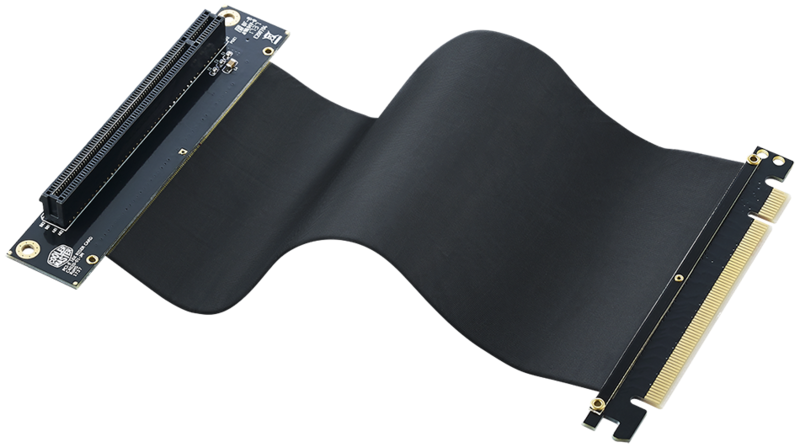 This Riser Cable PCI-E 3.0 x16 allows you to connect your vertically displayed graphics card to your mainboard. With a length of 200mm the Riser Cable PCI-E 3.0 x16 is perfectly compatible with cases like the MasterCase H500P and our Vertical Graphic Card Holder for example. The flexible design makes it easy to route the cable in your case. Hi speed data transmission is guaranteed with the use of a high quality Hitachi cable. To avoid signal interference the cable is shielded with Aluminum foil.